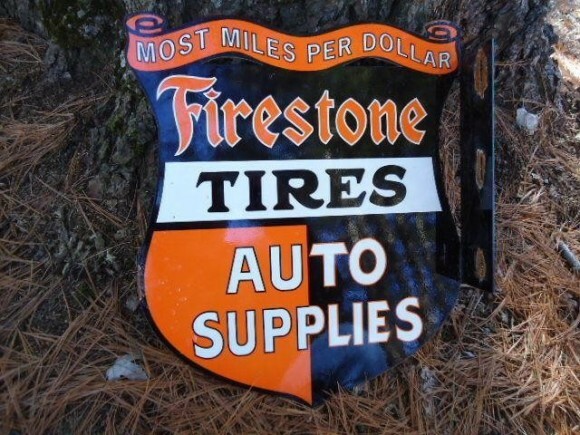 This sign is for Firestone Auto Supplies. The sign’s colors are black, orange, and white. The text on the sign reads: Most miles per dollar Firestone Tires auto supplies. The sign shows a flange sign die cut in the shape of a shield with text.